[German]Mozilla’s developers have just completed the final of the Thunderbird 60 email client. This version is currently not distributed via update, but must be downloaded by the user. I have already been informed about the new Thunderbird 60 by mail from German blog reader Gero S., but I had already seen it at Martin Brinkmann. Thunderbird version 60 is currently only offered as direct download from thunderbird.net and not as upgrade from Thunderbird version 52 or earlier. If you have installed Lightning, Mozilla’s Calendar add-on, it will automatically be updated to match the new version of Thunderbird. Refer to this troubleshooting article in case of problems. The Thunderbird team did not explain why the Thunderbird 60.0 is only available as a direct download at this time. One explanation, according to Martin Brinkmann, is that users may have problems updating with the Lightning Calendar component built into Thunderbird. The team has published a FAQ page that answers questions. That’s why I’m reluctant to upgrade, especially since it should take some time before a portable version is available. 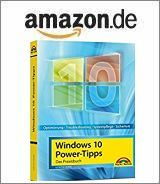 Thunderbird 60.0 is available for Windows 7/Windows Server 2008 R2 and newer(Windows XP and Windows Vista as well as older server versions are no longer supported), Linux and macOS. There is also a 64-bit version of Thunderbird, but it is hardly mentioned. The download is possible from this page. Mozilla has documented the changes introduced in Thunderbird 60.0 in the release notes. Important are things that’s changed in the Thunderbird. Add-ons that are not marked as compatible with Thunderbird 60 by their authors will be disabled (this can be undone using the extensions.strictCompatibility setting). This entry was posted in Software, Update and tagged Thunderbird 60.0. Bookmark the permalink.